En riktig damtövel med Italensk design, membran som gör att den är vattentät. Snygg stövel för damer med bra passform och känsla! 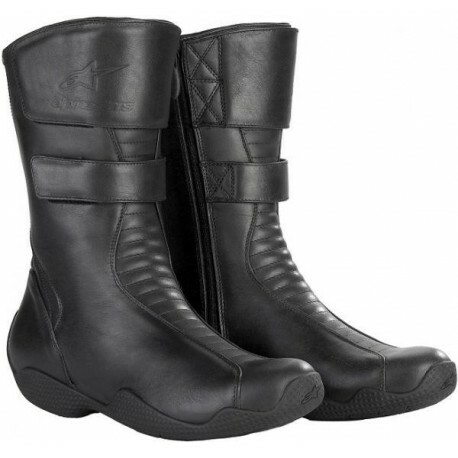 *Full grain leather, tall upper with elastic calf expansion insert to allow comfort and wide ranging fit. *Top grain leather shin protector strap ensures proper closure and width adjustment, while a mid-shin strap allows for refinement of fit and feel. *Ultra-soft, full length, leather flexible accordion expansion "throat" from toe to upper shin gives excellent fit and comfort which, combined with a wrap around Achilles flex panel, from lateral top (medial) side of the boot, allows easy, S/Mooth, forward and back flex. *Heel and toe sections are reinforced for protection and support. 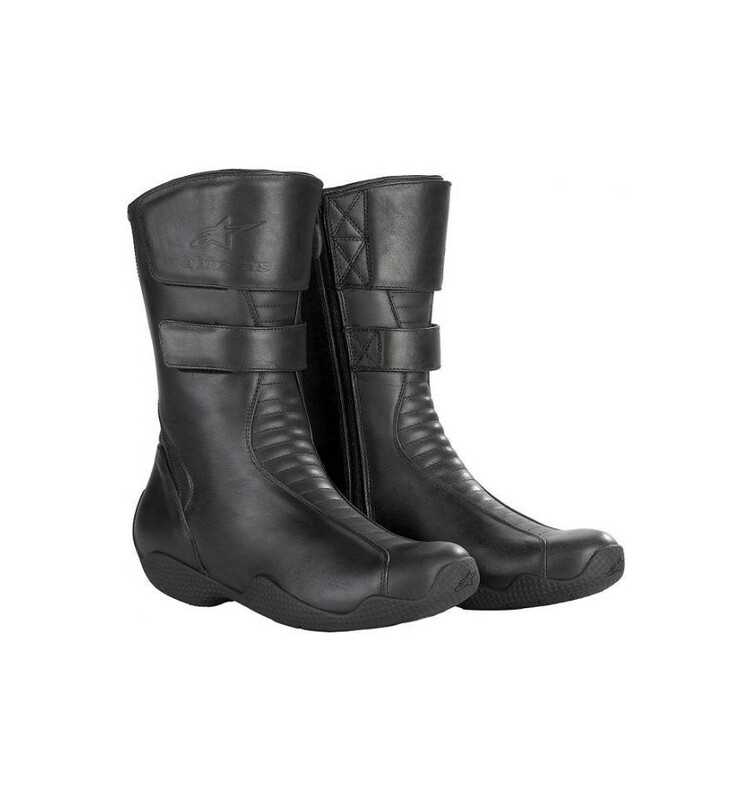 *Inner sole features a shock absorption layer to promote riding comfort. *Full length, waterproof, inside zipper is concealed to prevent any abrasion or scratching to the bike and allows rapid and easy entry. *Outer rubber sole is specially formulated for grip, durability, feel and comfort and is profiled to wrap around the sides of the foot for better abrasion protection and includes an nternal molded shank.